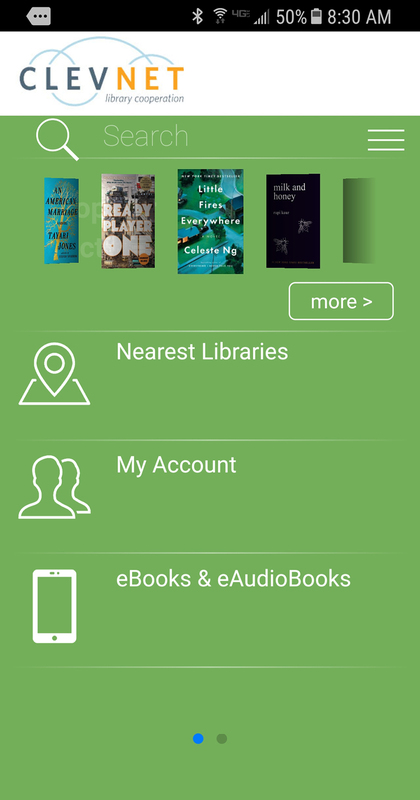 Access CLEVNET Libraries from your Android and Apple iOS phone or tablet. Manage your account, search the catalog, renew and reserve books. Bar code scanning is possible, but requires a rear-facing camera with auto-focus. Physical and Emedia (Overdrive) titles available in searches and My Account. Any iOS device (phone or tablet) that can run iOS version 8 or greater.